I wish I did this more often. Wrote down the places I saw the traces of God’s movement. The more I write them down, the more I see them happen everywhere. One of our teens told her mom she wanted to go on the spring break mission trip. Her mom started to worry they couldn’t pay for it. The teen stopped her mom and said don’t worry about it. She had saved up her Christmas and birthday money and had already paid me for the trip. My sister in law is having a rough couple weeks in her clinicals. She really needs some encouragement in her career field. A guy walked into their church who hadn’t been there in a long time and he does exactly what she wants to do. They got to talk for a while. My parents are spending a week on a cruise through the Mexican Riviera. Couldn’t think of two people who deserve it more. Our teens applied to be part of an Evolution transition team between me and our new youth director. It made me smile so much to read all their dreams and hopes for their friends and youth group. We go to Steak n Shake so much with our good friends Matt and Emily, that our waitress, Jessica, calls us her regulars. 🙂 We’ve been talking with her for a couple months now. We got her a birthday card on Wednesday and it came up that we always come from church. We invited her to come with us sometime and she asked for my number to text me about it later. We’re announcing on Sunday who the new youth director is. 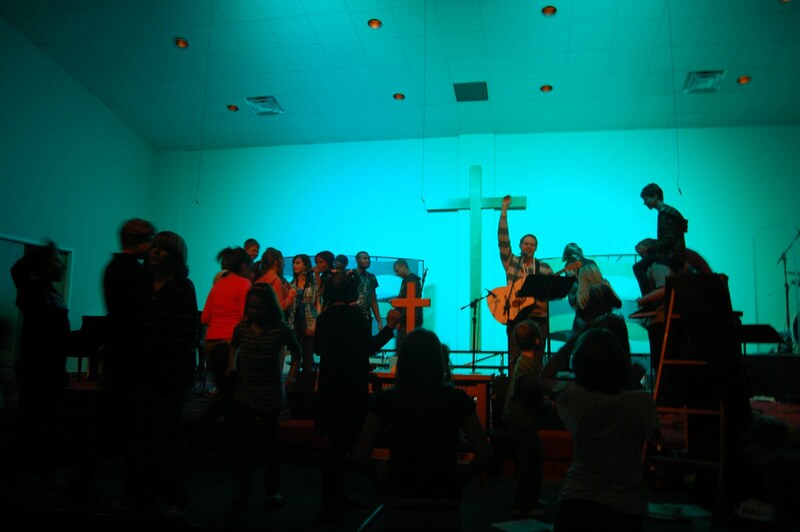 I’m so excited for what God has in store for our teens! On Tuesday night, several of the girls called me worried about a friend of theirs. We talked, prayed and came up with what to do. They invited her to our discipleship group last night and she came! The General Board of Global Ministries moves missionaries between assignments. We’ve been working with them to arrange our move to Alaska. They’ve connected us with a moving company that’s coming to meet with us next week. Just found out today they’ll pack up our things in boxes AND put them in the truck! I got asked to help contribute posts for WomenChurchPlanters.com. It’s a site for women who are considering or are already planting a church. I won’t be doing it anytime soon but I’m interested in being part of the conversation. The weather’s gotten into the 50s and we got to play games outside during discipleship group. Nothing like running around outside again! 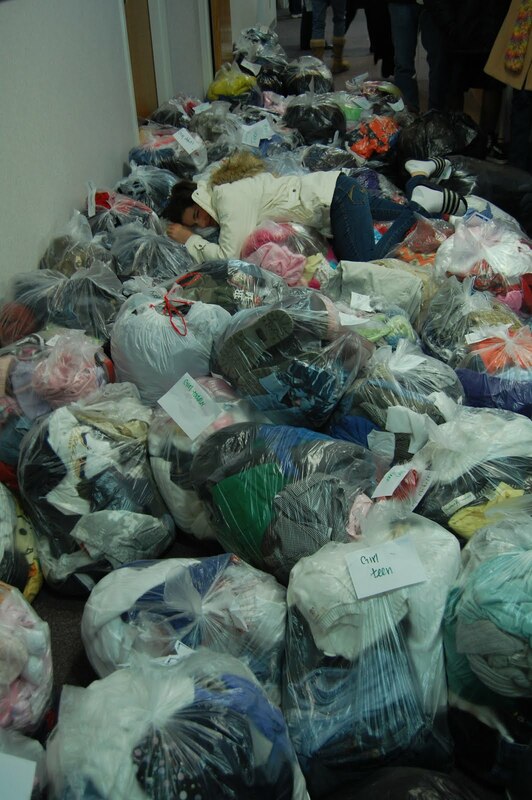 Teens collected over 2000 clothing items a couple Sundays ago! And just from a mass text sent out on a Thursday.